Home / Diet • Fitness • Health • Health & Fitness • Healthy Hair • Healthy Recipes • Lifestyle / Are Pumpkin Seeds Good for You? Pumpkin seeds aka pepita in Mexico are the nutrient-rich edible seeds found inside the pumpkin. They are flat, light green and oval-shaped. The seeds from the oil are pressed to produce pumpkin seed oil. However, pumpkin seeds are also good for you. 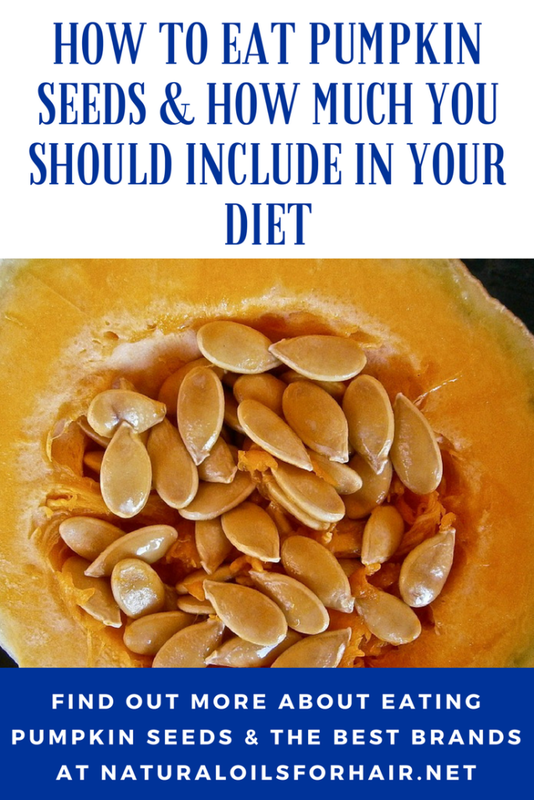 This article will look at the benefits of adding pumpkin seeds to your diet, the best ways to add it to your diet and the best brands of pumpkin seeds. Pumpkin seeds contain very high amounts of zinc. Zinc is required for optimal functioning of the body’s immune system. It also contains magnesium for healthy blood pressure and a healthy heart. 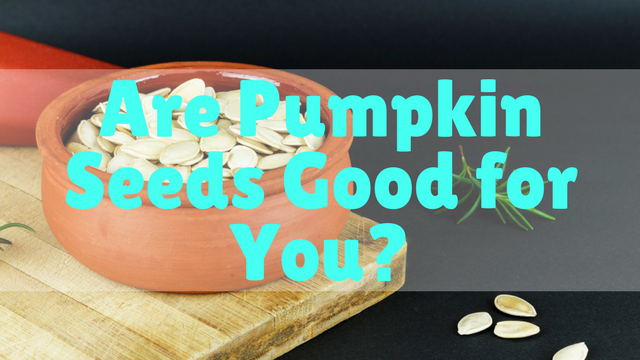 A ¼ cup of pumpkin seeds contains up to 20% of the daily recommended amount of magnesium. Pumpkin seeds are also an excellent source of protein and dietary fiber. A 100 gm serving contains about 20% of the daily recommended value of both these nutrients as well as magnesium, phosphorus, and zinc. Additional nutrients also include vitamin E, potassium, folate and sodium. 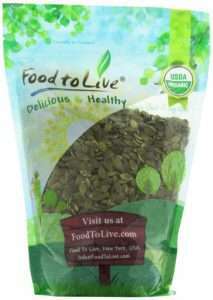 Pumpkin seeds help reduce inflammation in the body, which counters the side effects of health issues such as arthritis. There are good things in pumpkin seeds too when it comes to hair growth. They contain thiamine, niacin, iron, riboflavin & pantothenic acid. It’s one of the best oils recommended for resolving hair growth issues in How to Grow Hair Healthy & Long with Natural Oils: Choose the Right Oils & Learn How to Use Them for Optimal Growth. Pumpkin seeds contain tryptophan, an amino acid that aids in more restful sleep. If you suffer from insomnia, a handful of pumpkin seeds sometime before bed can help you sleep better. As a snack, either raw or roasted works fine. You can add a few taste enhancers such as Himalayan salt and spices before eating. You can also fry them if you like although this won’t be as healthy. Sprinkle generously over salads. Keep in mind 100 gm of pumpkin seeds is around 570 calories. If you like making homemade granola, you can include pumpkin seeds in the recipe. After sautéing or grilling vegetables, you can sprinkle pumpkin seeds before eating. You can also include them in bread, muffins, bagels, and pesto. How Much Pumpkin Seeds Should You Eat Daily? 3 – 3.5 tablespoons per day is recommended. 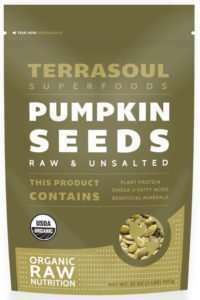 These can be 3 tablespoons of pumpkin seeds alone or a combination of other types of seeds with pumpkin seeds. 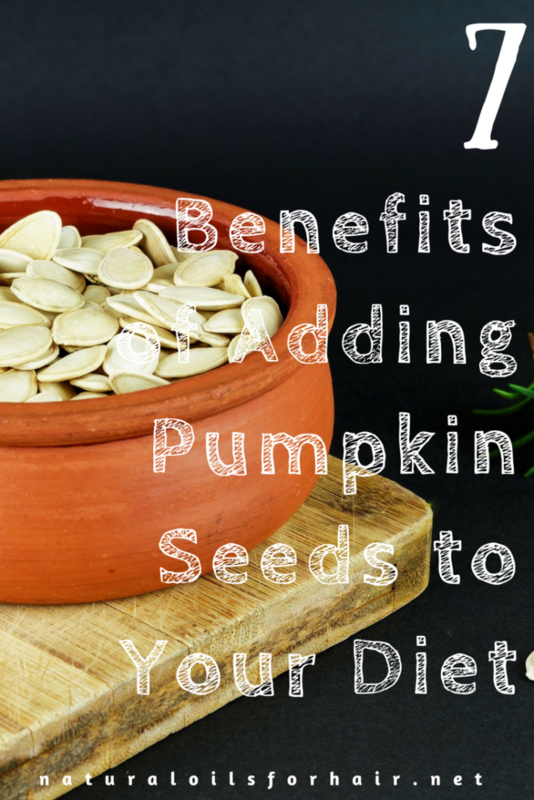 Flax seeds and sunflower seeds are great to combine with pumpkin seeds. If you have the time, you can prepare your own pumpkin seeds at home. Keep the seeds after scraping them out of the pumpkin. Separate the seeds from the pulp, rinse the seeds then shake dry while in a colander. Set aside. This video shows How to Clean Off Pumpkin Seeds. Spread the seeds onto a baking tray and lightly toss with olive oil and salt. Roast for 10 minutes at 325F. They’re ready to eat once cool. If other seeds like flax seeds, chia seeds, and sunflower seeds are already part or your diet, consider adding pumpkin seed into the mix. Your body will thank you for it.